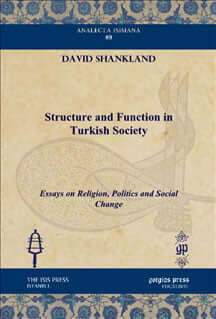 David Shankland studied social anthropology at the University of Edinburgh, and subsequently moved to Cambridge where he was supervised by Ernest Gellner for his doctoral research on Turkey. He has specialised in the study of the Islamic world for nearly three decades, examining in particular the changing relationship between faith, state and politics. He has conducted fieldwork most extensively in Anatolia, in particular with the Alevis, about whom he has written a monograph and many scholarly papers. He has also conducted fieldwork in Germany amongst the migrant Alevi community, during the course of which he was a Humboldt Fellow tenured at the University of Bamberg. Formerly Assistant and Acting Director of the British Institute of Archaeology at Ankara, Dr Shankland has also worked on the interaction between archaeology and anthropology, during the course of which he became a member of the dig team at the Neolithic site of Catalhoyuk. Dr Shankland has also researched extensively the history of anthropology and the philosophy of the social sciences as they apply to anthropology, including the special study of Ernest Gellner, Karl Popper and F.W. Hasluck. He is working at present on a study of Westermarck, and anthropology in Britain between 1900-1950. Director of the RAI since 2011, Dr Shankland is also Reader in Anthropology at the University of Bristol. 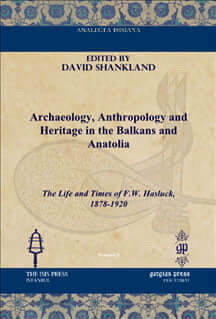 His publications include (as editor) Archaeology, Anthropology and Heritage in the Balkans and Anatolia: the Life and Works of F.W. Hasluck, 1878-1920 (3 vols, Istanbul, 2005-13); Anthropology and Archaeology, Past, Present and Future (ASA Monographs in Social Anthropology, Oxford, 2012); “Heterodox Movements in the Contemporary Islamic World: Alevis, Yezidis, and Ahmadis”, special issue of British Journal of Middle Eastern Studies. 37.3 (2010), 227-448. He is the author of Structure and Function in Turkish Society (Istanbul, 2006); The Alevis in Modern Turkey (London, 2003); Religion and Society in Turkey (Huntingdon, 1999, Greek translation 2003); Simple Etiquette in Turkey (Folkestone, 1993, 3 editions).